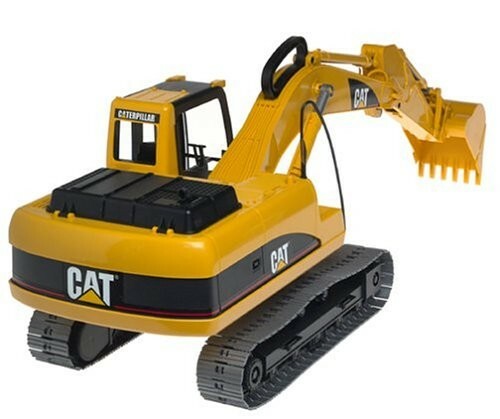 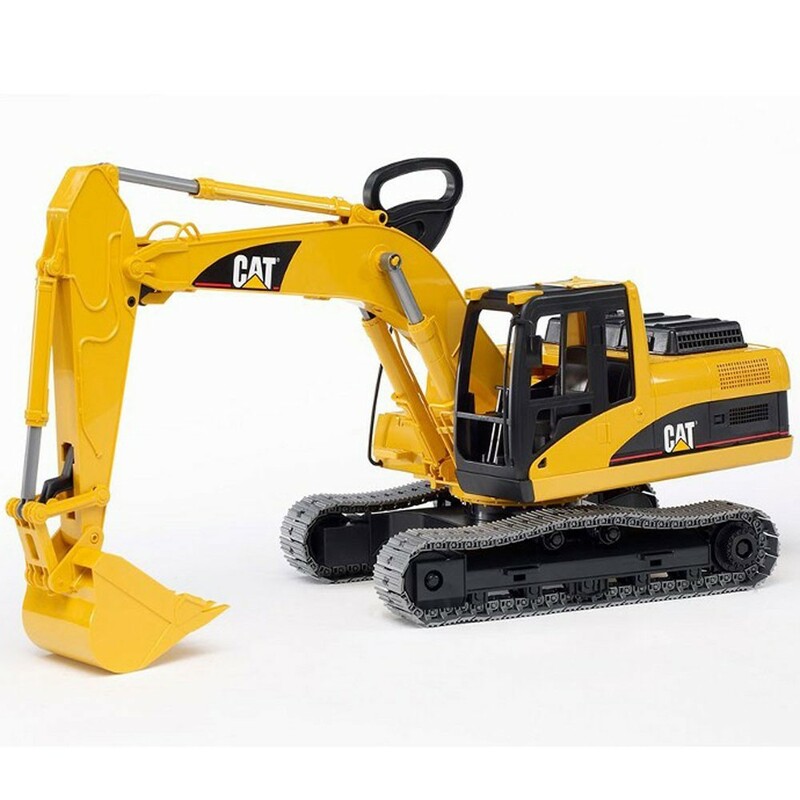 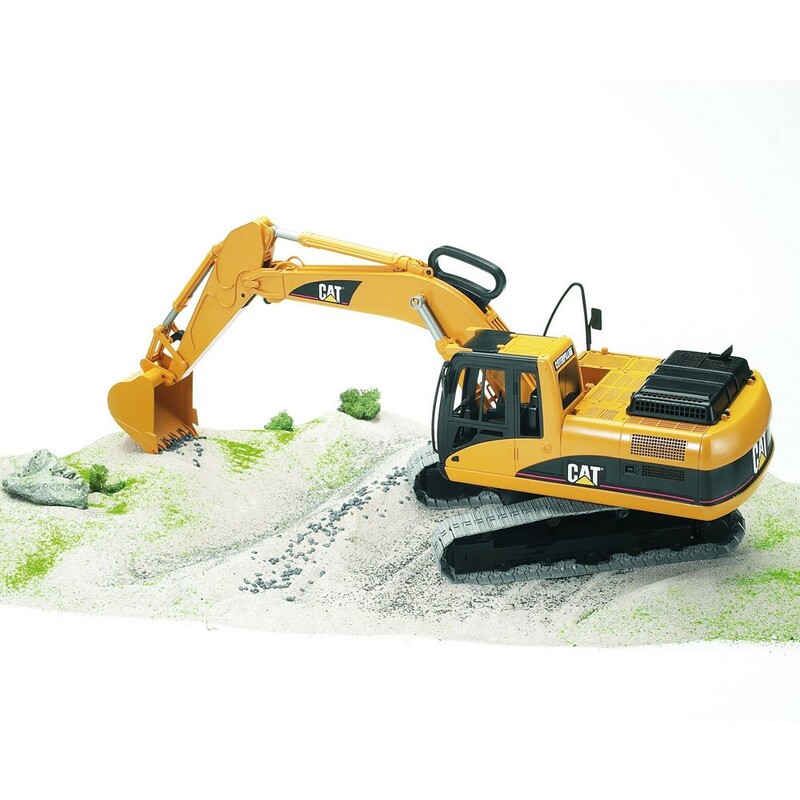 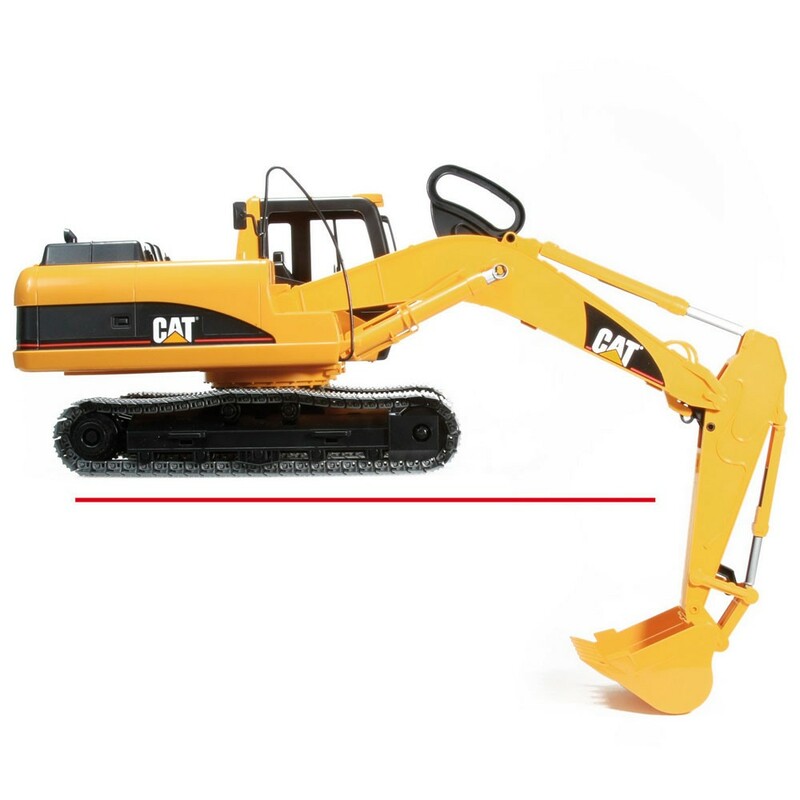 This Bruder Cat Excavator features realistic look, realistic functioning, and superb play value and quality! 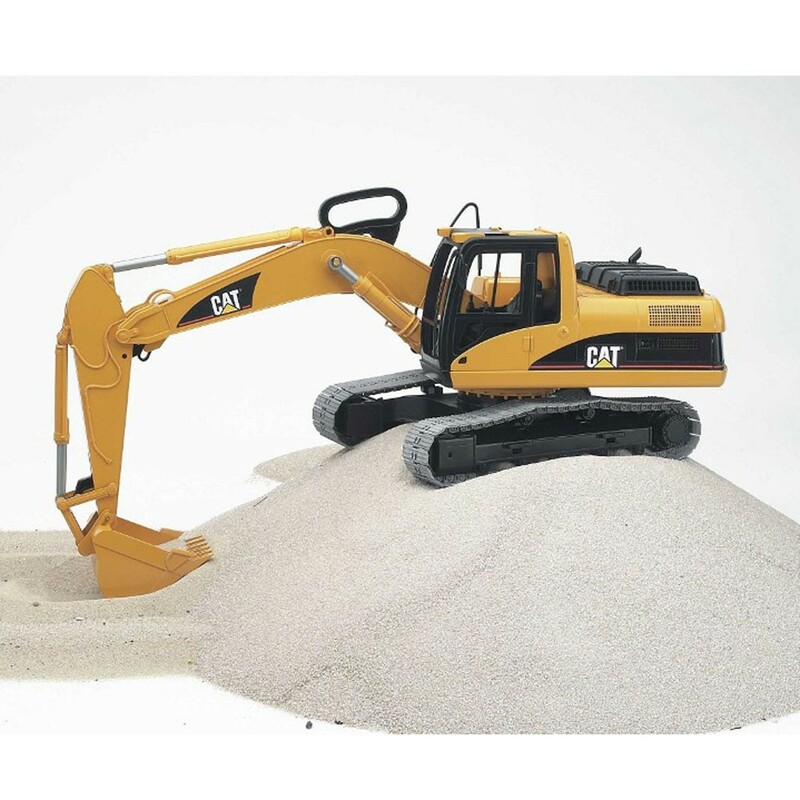 The Bruder CAT Excavator is an impressive construction site vehicle inspired by the world market leader, designed for use on large-scale building sites, in agriculture, and also refuse disposal. 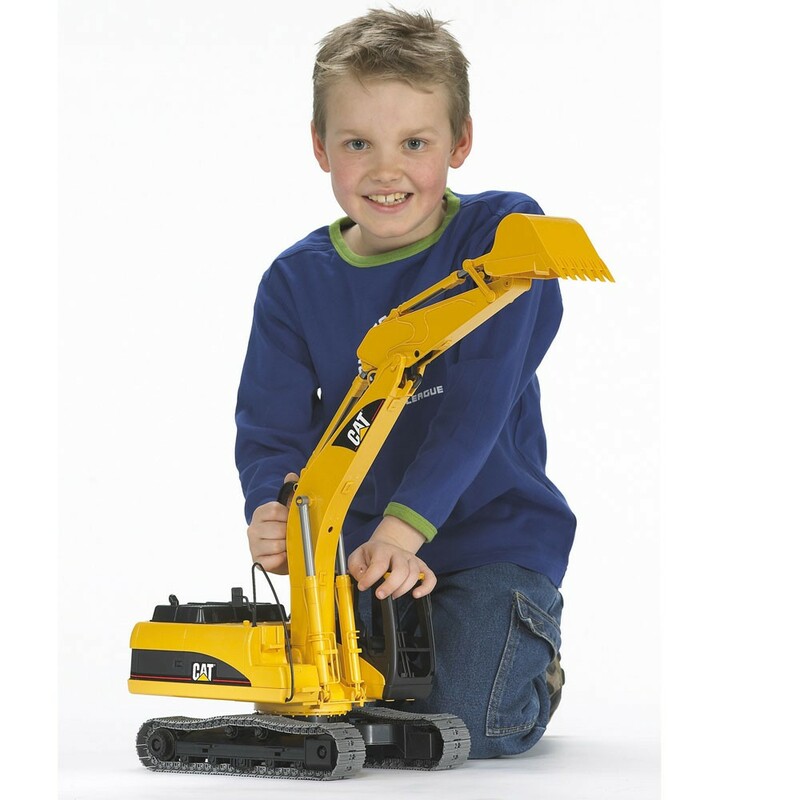 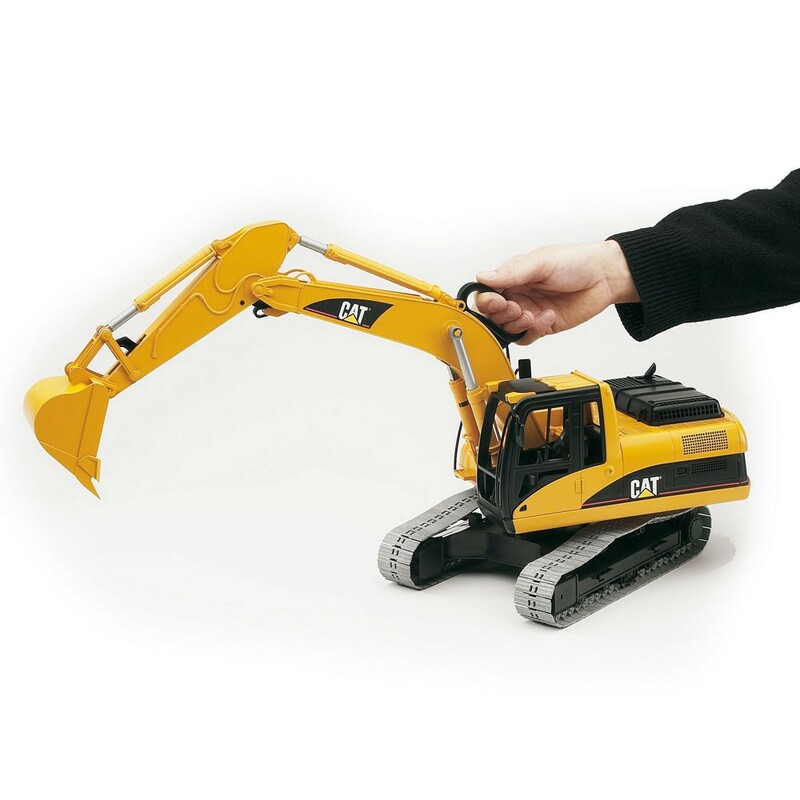 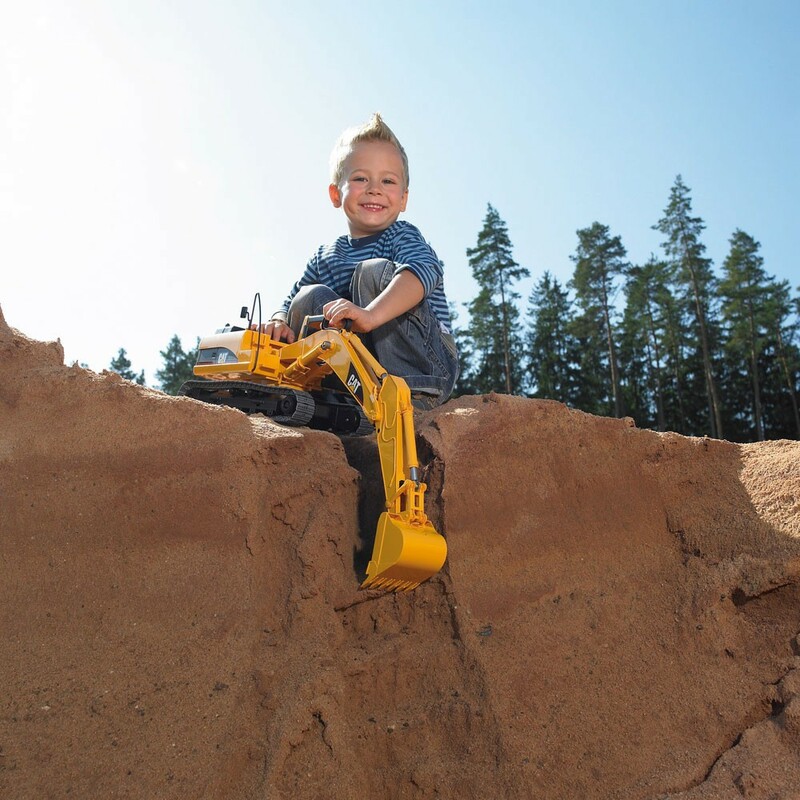 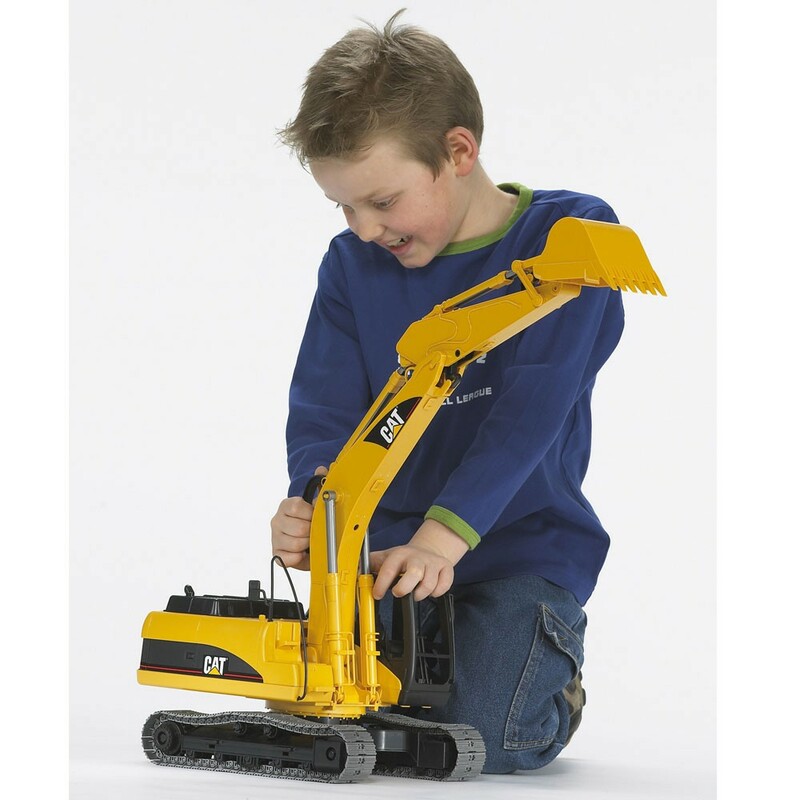 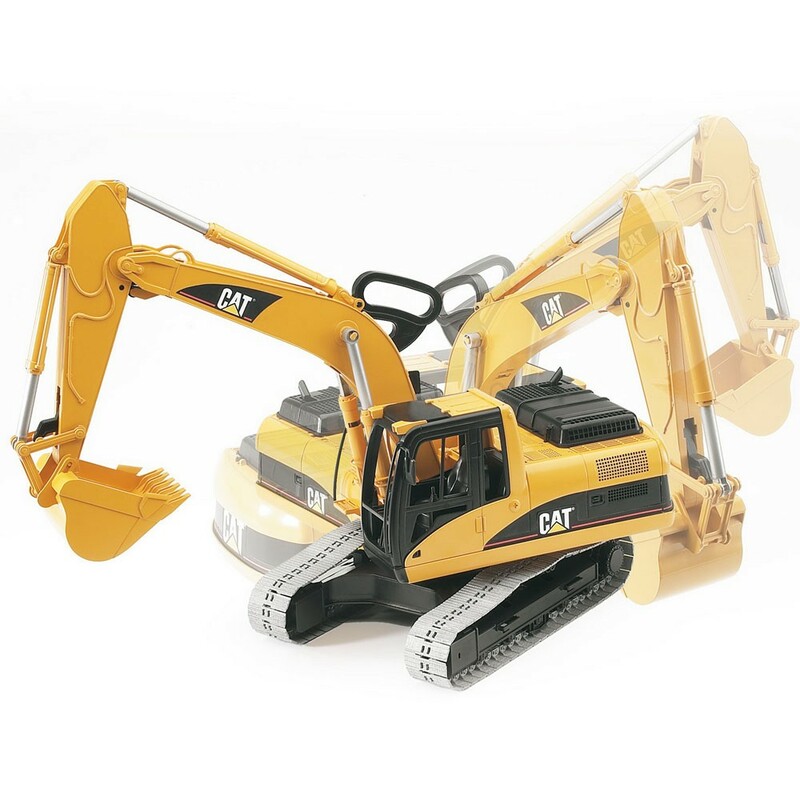 The excavator function is an exact replica of the original and can be operated by children on their own, by means of a child's hand size handle on the main excavator rig that is easy to use. 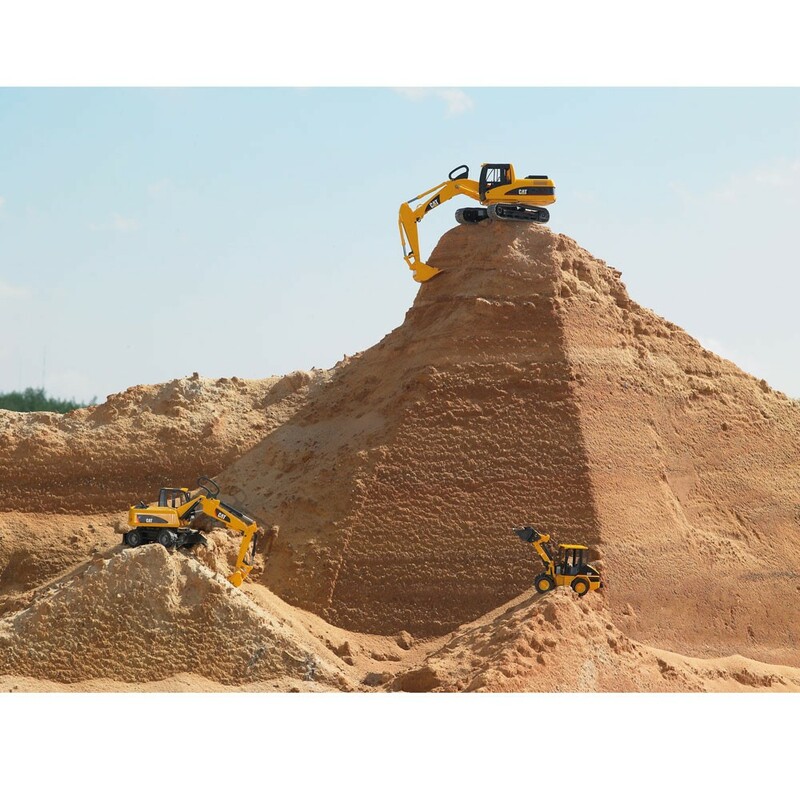 The excavator function was further developed to create an all-time first by creating a function that slows down the tipping out function when the shovel is being emptied, so that complete unloading can only be guaranteed at the same height as the tipper. 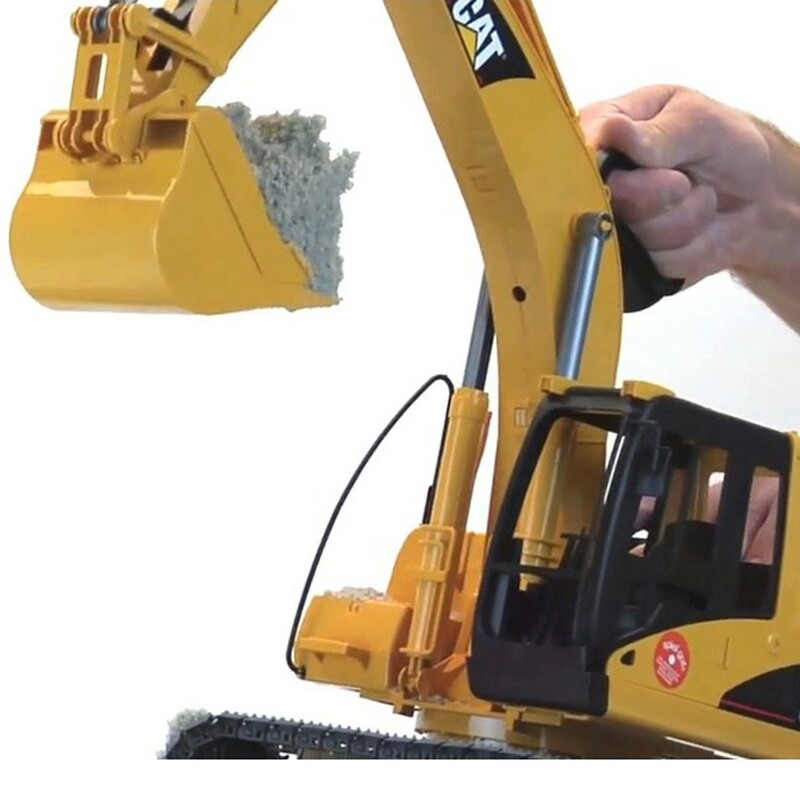 Furthermore the excavator arm can be used way beneath the level of the vehicle (e.g. 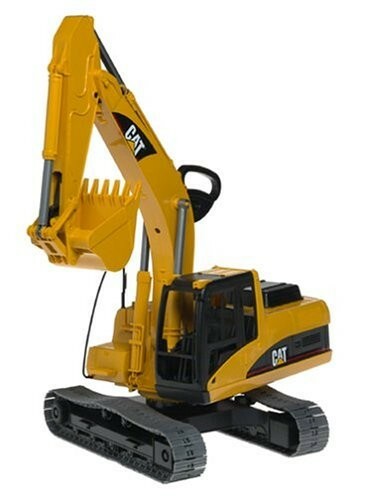 for drainage work) and the shovel can also be removed. 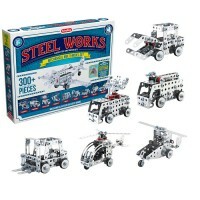 A special feature is the fact that the treads are equipped with genuine chain links (not rubber treads). 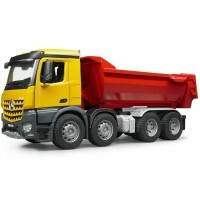 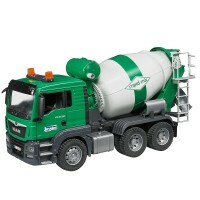 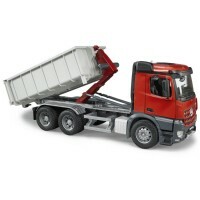 The vehicle can be fitted with the supplied rubber fittings so that the treads can run on polished floors. 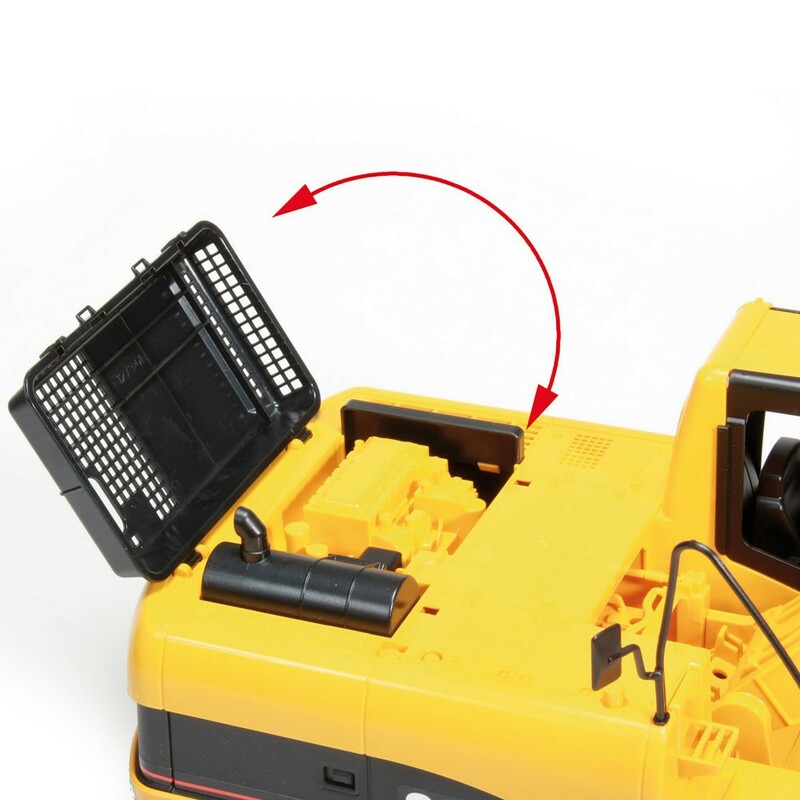 The bonnet, which can be opened and the realistic ventilator grill emphasizes the high quality fittings. 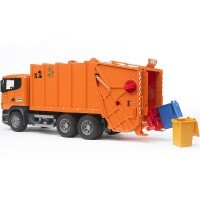 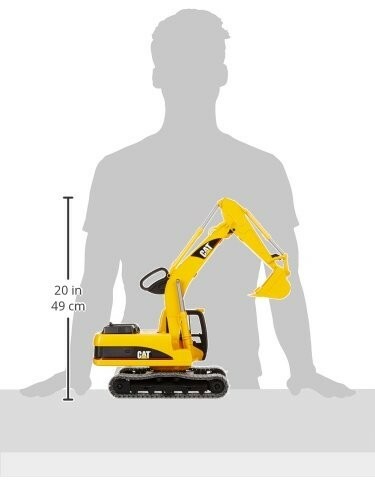 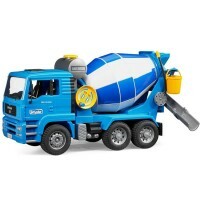 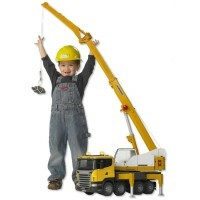 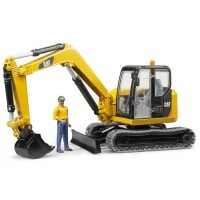 The toy excavator is 22.8 x 11.4 x 7.9 inches. 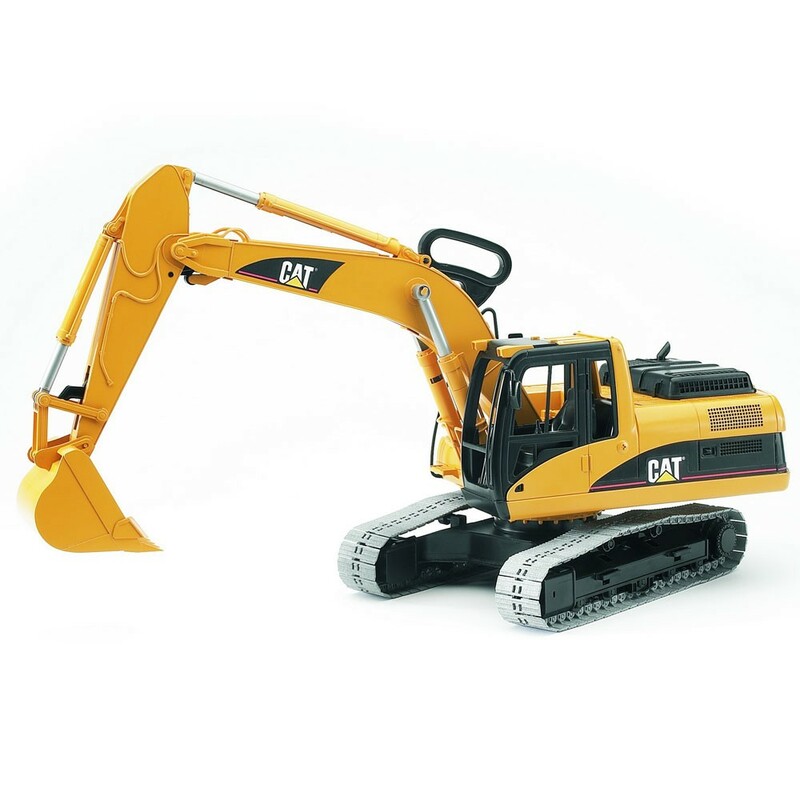 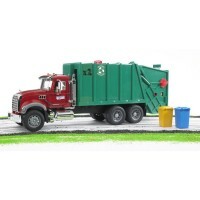 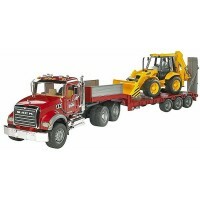 Dimensions of package 12" x 24" x 8.5"
Write your own review of Bruder CAT Excavator Construction Vehicle.